New Delhi – A preview event to announce a gala Dine With Royalty event, showcasing culinary delights of India with the heads of the erstwhile Royal families of India playing host in October this year, was hosted at the Embassy of Begium on Feb 25, 2017. Members and representatives from 50 erstwhile Royal families of India and about 20 embassy representatives, attended this showcase event where food from the Rampur and Kangra Royal kitchens was served, followed by an enthralling session of soulful music by Nizami Brothers, reliving the magic of the era gone by. A panel discussion on “Royal cuisines of India: historical perspective and insight” chaired by eminent food expert Sourish Bhattacharya, along with panelists: Pushpesh Pant, food historian ; Neha Prasada, author of “Dining with the Maharajas: A Thousand Years of Culinary Tradition”; Sonal Saxena, co-founder, eatwithIndia; Nawab Kazmi Ali Khan, Nawab of Rampur; and Tikaraj Aishwarya Chandra Katoch, 489th descendant of the royal Katoch clan. The discussion explored and shared cultural insights into the food coming out of royal kitchens and demystified heavily guarded traditions. The event was graced by the presence of well known guests: Mr. V.P. 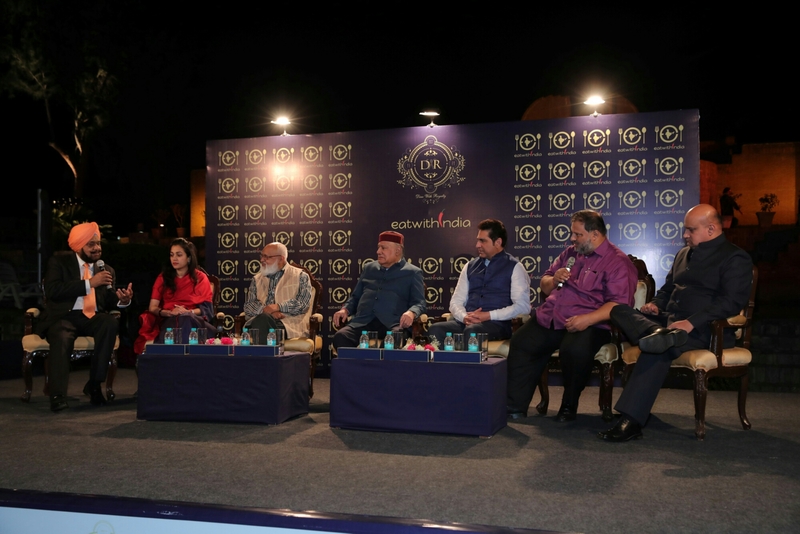 Singh Badnore, Governor of Punjab; Indian painter sculptor Mr. Satish Gujral & Ms. Kiran Gujral; political figure Mr. Naresh Gujral & Ms. Anjali Gujral; Raja Randhir Singh from the royal family of Patiala	; MP Mr. Rajiv Pratap Rudy & Ms. Neelam Pratap Rudy; Maharani Uma Devi Jadhav of the Gwalior royal family; Mr. Jiggs Kalra, the “czar of Indian cuisine”. Special merchandise comprising of a range of spices mixes, pickles and preserves from the royal kitchen of India and well known chefs from across the country under the label of eatwithIndia was also launched to invoke the magic of regional cuisines in home cooking. 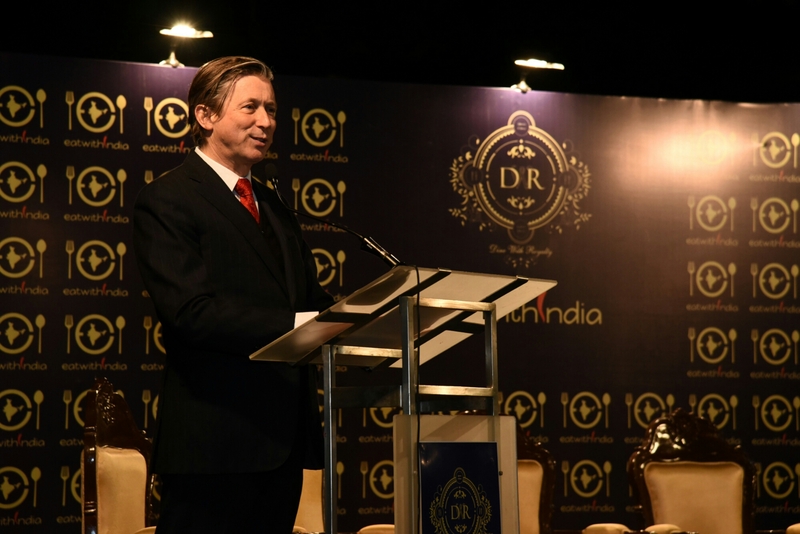 Spread over three days, the gala DWR event will be held in Delhi in October 2017 with 20 royal families presenting different cuisines that they represent. This would be the first ever festival where the guests from different walks of life would get an opportunity to dine with the royal families outside their palaces, the highlight being that each of the Royal house would not only extend the hospitality through food, but the members of that Royal house would themselves play host to the party of guests, regaling the with the stories from their family history and sharing the insight to food and culinary traditions they followed in the past. Six luxury tents would be set up to create the royal look and feel by some of the best art designers in the country. Each tent will be unique and represent the heritage of that princely state. Each tent will serve 35 guests at one point of time and two meals will be served everyday (lunch and dinner) by different royal families. All the event tickets will be pre-booked and no walk-ins will be entertained. To add on the experience, special performances by local artistes from each region would be held before lunch and dinner. 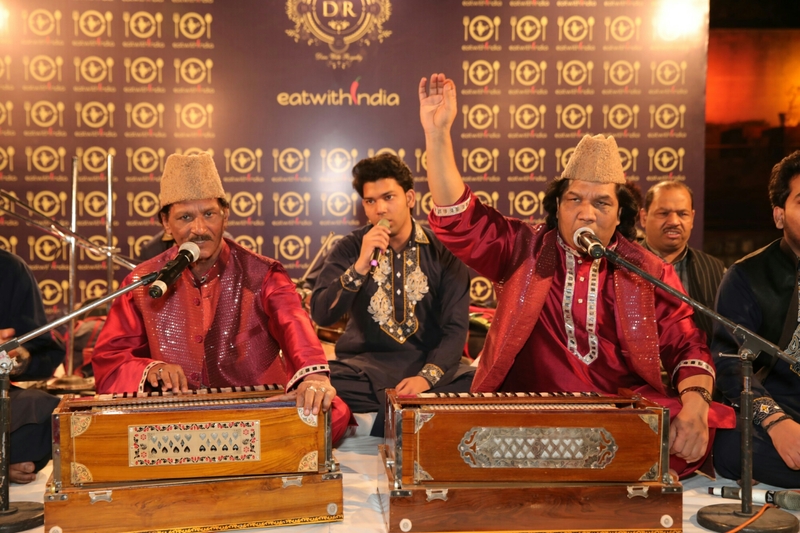 A special platform has been created called Baradari, where cuisine and culture will be discussed with the best in the business. 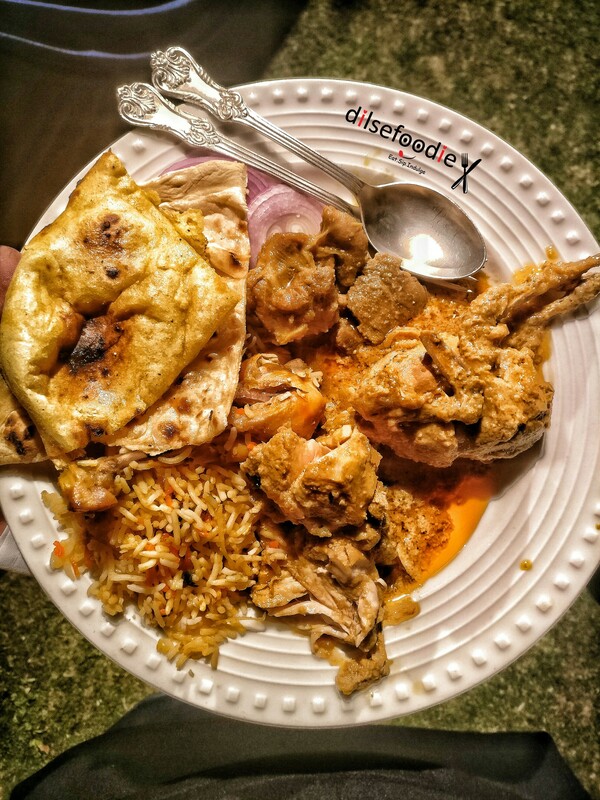 Born after many painful years of not being able to find good Indian regional food, eatwithIndia is a unique initiative that promotes Indian regional cuisine in a non restaurant space. The concept encourages Dine-in format as against Dine-out, for eatwithIndia believes that the best meals are served by the custodians of these recipes themselves. These custodians could be the professional chefs who dish out their best at a chef’s table, or home chefs who introduce us to age old recipes which have been passed on over generations or royal families who allow a peek into their traditional culinary heritage. The founders, Shantanu Mahanta and Sonal Saxena, are both die-hard food lovers who like to explore different flavours and take great pride in Indian food. Shantanu comes from a successful professional background of interior design and Sonal runs a successful technology company. Both feel that Indian food is not well represented and popularized across the world and it still does not get the respect it deserves. Together they have created this unique platform where guests can book meals prepared by registered and very authentic regional chefs online. With eatwithIndia they also created a technology platform for the chefs to reach out to world at large and for guests to reach out to these masters of Indian regional food.